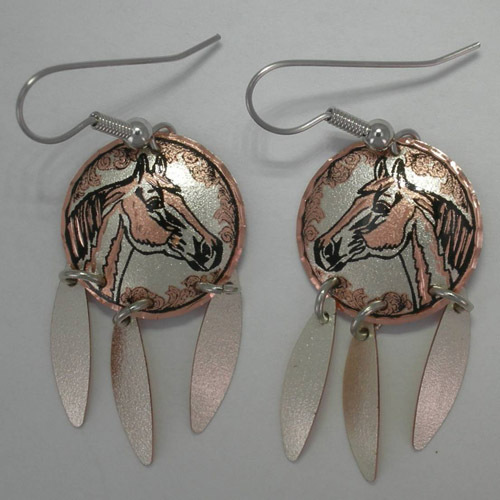 Desc: Copper horse head earrings with feather dangles. The ear wires are fashioned from surgical steel and are hypo-allergenic. The earrings are circular and have three navettes shaped feather dangling from each earring. The outer edges of the circular earrings are diamond cut for extra shine. Inside the circular portion is a Quarter Horse head design. The earrings have matte and bright polish finishes.